Hereford United have released a DVD of last night's 2-1 victory over league-leaders Bournemouth. More details on the OS. In other club related news, supporters are reminded that under 16's can watch next Tuesday's Paint Trophy game against Aldershot free of charge provived the ticket is purchased in advance with a full price adult ticket. These tickets can be purchased on-line through the OS. French striker Franck Padovani has joined Blue Square Premier club Hayes & Yeading United. Padovani spent several weeks with Hereford United until around mid-August but manager John Trewick didn't offer him a deal. The Nice-born 24-year-old started out with OGC Nice and had spells with Sporting Toulon, Entente Sannois Saint-Gratien and Sans Club before turning out for Trinity Sports Club in the DH Mediterranean League. Coca-Cola are to end their six year sponsorship of the Football League at the end of the season. It is understood that the soft drinks company offered a new deal of £6million a year, matching the current terms, but it was rejected with the FL expecting better offers on the back of their TV deal with the BBC. It has already been suggested that FA Cup sponsors E-on, who are leaving that role at the end of the season, are one of a number of companies in talks with the FL. In contrast to the FL's £6million offer, the Premier League recently rejected a £24million a season sponsorship deal. Chester have sacked manager Mick Wadsworth and assistant Simon Davies after last night's loss to Forest Green, 5live are reporting. The loss left them 24 points short of safety after just over a quarter of the season. Even if they hadn't started the season on -25 points, they would be just one place above the relegation zone. 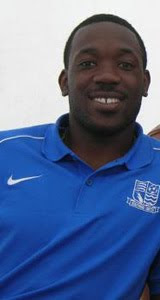 Wadsworth was the twelth manager of Stephen Vaughan's reign at the Deva Stadium where he was assisted by Davies, who also had a stint in charge. Meanwhile Chester expect to lose £660,000 this season. They have posted their profit and loss projections for the season to their official site that suggest a weekly playing budget of £11,500. They expect gate income and season ticket sales to barely outstrip the £215,000 they are to receive as a parachute payment - but the parachute payment will be reduced due to monies owed to the FL and other football creditors from last season. Ex-Bull Febian Brandy was again substituted midway through the second half as England's u20 side crashed 4-0 to Ghana in the u20 World Cup in Egypt. Cheltenham defender Shane Duff is to miss six months after needing achilles surgery. Accrington, with a month left to find another £218,000, are to play US side Austin Aztecs in a fundraising game. Burton have announced record £135,000 profits for last season, on a record turnover of £1.5million. £1.1million of turnover was commercial and sponsorship income. The club have delayed plans to build a hotel at their Pirelli Stadium home, but are considering adding an all-weather pitch for community use. On the field they have signed former Yeovil defender Aaron Brown for an initial month. Swindon have announced a rights issue to raise money in the club. They will consolidate exisiting shares, and issue new shares that will make up more than 92% of the total share capital that will effectively squeeze out small shareholders and those that are no longer in contact with the club. Lincoln caretaker boss Simon Clark has left the club following Chris Sutton's appointment as manager. Weymouth chairman Ian Ridley is to step down after being diagnosed with prostate cancer. He is to start two months of radiotherapy. Carlisle lost £1.2million in narrowly avoiding relegation from League One last season. They lost 20% of their average gate last season, costing them £500,000 in revenue. The Football League are monitoring the Jersey court case involving Leeds supremo Ken Bates. Bates initially told the court he was a joint owner of the club, but later changed his mind and told them he was not part of the ownership of the club. Leeds owners, according to the Guardian, are a Cayman Islands company whose adminstrators refuse to reveal the identities of the shareholders. Eddie Howe, the Bournemouth manager spoke to BBC Radio Solent after last night's game at Edgar Street. "I thought they had the better chances. "I thought it was a tough game. I always knew it would be - never easy. "I praise the lads' attitude and commitment. They never let their heads drop. And, on another day, we could have come away with a draw. "But Hereford raised their game and played well. "Hereford have brought in some good players and I thought the boy (James) Walker up front was a real handful. "Their two wide lads are also good players but we knew it was going to be a hard game and they didn't disappoint us." Hereford United ran out thoroughly deserved winners in tonight’s Edgar Street encounter with table topping Bournemouth. Marc Pugh notched a brace with Fletcher replying as the home side produced arguably their best performance of season to outplay the frontrunners. Manager Trewick largely retained faith in the team that had lost at Rochdale with the only change being the inclusion of Keith Lowe to replace the suspended Ryan Green at right back. The South-Coasters kicked off attacking the Meadowend and showed their early intent with a series of lofted balls towards the giant but clumbersome Fletcher. An early cross from the fleet-footed Liam Feeley was dealt with by Lowe who chested back to Bartlett while at the other end; James Walker’s effort missed the target to the left. Another Feeley cross was met by a Brett Pitman header but again it sailed wide of Bartlett’s goal. Ten minutes into the game, The Bulls produced the best of the game so far instigated by Kenny Lunt who fed Pugh. The dangerous winger played a one-two with James Walker before testing Shwan Jalal in the visitor’s goal with an on target shot. Bournemouth’s direct play was more than matched by Hereford’s more scientific approach as The Bulls started to show signs of what was to come. Deputising fullback Lowe sent searching ball forward to the marauding Walker forcing a hacked clearance as loanee Craig King worked tirelessly to create options and space. Marc Pugh received the ball from Valentine deep in his own half and set off on a mazy run, which ended with an effort that was beaten away by Jalal. Meanwhile, a flicked header from Fletcher found Pitman just 10 yards from goal but the striker blazed over as Bartlett was quickly out to narrow the angle. Lunt delivered a telling free kick into the box, which Marshall hit just over the bar before The Cherries broke down the right. Feeley fed Pitman who had drifted wide but Ryan Valentine’s swift challenge cleared the threat although he collected a viscous elbow in the mouth which went unnoticed despite the assistant being just 15 yards from the incident. As the first period drew to a close, a Marshall/Walker combination produced another on target attempt as The Bulls finished the far superior outfit. With the second period having been the downfall in recent games, the remaining 45 minutes was to provide some of the best football seen from the home side this season. Marc Pugh skipped passed his marker to deliver a low cross that was fractionally too close to Jalal as Walker closed on goal. Shortly afterwards, Hereford took the lead. The industrious Craig King picked up the ball wide on the halfway line and covered fully 35 yards leaving players in his wake before slipping it through to Pugh who’s cross shot found the net passed the floundering Jalal. Craig King was running riot with his all-action style providing much of what has been missing during the early season reverses. As The Bulls continued to dictate, even Ryan Valentine forced a block from Jalal following neat interplay with King. Pugh and Marshall continued to torment down the flanks and Kenny Lunt produced a thunderous shot, which whistled passed the post, but Bournemouth replied through Fletcher who managed to roll his marker before firing in on the hour. The Bulls needed to show improved character to avoid a repeat of their previous second half collapses. However, the fans were not to be disappointed this time as the hosts continued to impose their much-improved passing game on the visiting beach boys. King was unlucky as his movement and tenacity produced a chance that cannoned off the keeper’s knees while at the other end, Dennehy, who had replaced Blanchett, conceded a needless free kick to Alan Connell but the free kick was easily dealt by the efficient Bartlett. King then combined with Lunt to produce another effort which was just wide before Lunt’s superb cross-field ball found Pugh who again tested the keeper. Then with 13 minutes left on the clock, another flowing move developed through midfield ending with King providing Marc Pugh with a ball that the winger again slid passed Jalal to push The Bulls towards the three points. The Bulls were playing by far the better football with some fine passing movements whereas Bournemouth continued to lump the ball forward to the giant Fletcher who on this performance might be better employed giving rides to children on the beach. If this sort of performance and effort is repeated in the coming weeks, fans can expect to see Hereford pulling away from the danger zone. We, at last, appear to have a forward line that runs for 90 minutes and chases back to help out in midfield. Sam Gwynne has added steel to the central area while the much-maligned Kenny Lunt had his best game to date. After a nervous start, the defence in the main dealt competently with the aerial bombardment while Bartlett gave another assured display. The front pairing were a constant threat with Craig King giving a Man-of-The-Match performance. Attendance 2103 with 431 from the seaside. Hereford: - Bartlett, Lowe, Jones, Blanchett (Dennehy, 66), Valentine; Marshall, Gwynne, Lunt, Pugh; Walker, King. Unused Subs: Adamson, Lowe, Sonko, Done, Constantine, McCallum. Bournemouth: - Jalal, Bradbury (McQuoid, 81), Pearce, Guyett, Cummings; Feeney (Connell, 60), Bartley, Robinson, Hollands; Pitman, Fletcher. Unused Sub: Tindall. A second home victory in a row delighted Hereford United manager John Trewick as he told BBC Hereford and Worcester after tonight's game. "It's pleasing, I'm delighted, good solid performance and a much needed three points," said Trewick. "Marc's got another two goals, he can't stop scoring." Both goals were set up by youngster Craig King. "He works his socks off and he's got bags of ability as well. He's been a breath of fresh air since he walked through the door here. Very very pleased with him. "I thought we coped with their threats pretty well and for most of the game I thought we were in control. "Tonight we were solid and created chances, kept their chances to a minimum and deservedly won. "I feel in the last few weeks we have turned a corner and there is no reason why we shouldn't push on." Andy Williams scored the winner six minutes into injury time as Bristol Rovers beat Southampton. Theo Robinson scored a consolation as Huddersfield lost at Walsall. Brian Smikle scored as Kidderminster beat Wrexham. Tim Sills scored, was booked, and sent off, for Torquay as they drew with Aldershot. Below are all the main stats from this evening's very entertaining match at Edgar Street where Hereford United defeated Bournemouth 2-1. With Bournemouth losing for only the second time this season, their nearest rivals failed to close the gap to the top. Dagenham slipped to third with a 2-0 loss at Barnet, and Rotherham dropped to fourth after a 3-1 loss at Northampton. Rochdale move up to second after their 2-0 win at managerless Darlington. Shrewsbury are fifth due to winning 2-1 at Cheltenham, with Notts County beating their away blues with a 3-0 win at Lincoln. Aldershot's 1-1 draw at Torquay sees them drop to seventh. At the bottom Darlington remain rooted to the foot of the table and now seven points short, with Torquay two points shy of Lincoln. Five teams, including the Bulls, are on ten points with Macclesfield drawing at Burton and Morecambe also picking a point up with a goalless draw at home to Bradford. Port Vale overcame their transfer listing by putting in an indifferent performance in a 2-2 draw with Accrington, while Crewe slid further down the table after losing 3-2 to Bury. Manager Gudjon Thordarson has just four wins from the last 17 games. In the Conference Oxford keep their eight point lead with a 3-1 win over Crawley. Forest Green beat Chester 2-1, and Kidderminster heap further woes onto Wrexham with a 2-0 win at Aggborough. The Bulls upset the form book as they beat Bournemouth 2-1 at Edgar Street tonight. A Marc Pugh double sandwiched a Steve Fletcher reply to earn a deserved three points for the Bulls. The sub-1700 home support will testify to a man that those that opted to stay away missed a cracker of a match and a solid display from the Bulls, who looked the better side for the vast majority of the game. The travelling 431 support in the 2,103 crowd were vocal, but their claims of being top of the league were severely tested tonight. The Bulls move into double figures for the season, and up to 18th - three points off the drop zone. Darren Dennehy has been selected for the Republic of Ireland under 21 squad who play Georgia on Friday Ocober 9th. The Hereford United defender is likely to miss the Bulls game against Rotherham the following day. Dennehy has five caps to date. Notts County have named two more investors in their owners Qadbak and Munto Finance. One is a former Prime Minister of Pakistan from 1993, the other is Govenor of Pakistan's state bank. Crewe have signed Bolton's 22 year old Hungarian keeper Adam Bogdan on a months loan. He is yet to make his debut for the Trotters. Darlington have let Dean Windass go in the wake of Colin Todd's dismissal. Windass was not working with a contract as a coach, and only on non-contract terms as a player. He is looking for another club. Grimsby have ended the loan of keeper Josh Lillis, and loaned teenager Ed Eley to Mansfield for a month. Port Vale have extended the loan of Damien McCrory from Plymouth after all. They said yesterday that he was returning to Home Park, but have now changed their mind. Accrington's Supporters Fund have offered to buy the club and clear all their debts after a war of words with the current owners. Their initial £250,000 offer of investment was rejected, but they have now upped their offer to a total takeover and clearance of all debts but the club are yet to respond. Rochdale have extended the loan of striker Jon Shaw to Barrow for two further months. Top of the table Bournemouth will be a difficult challenge for the Bulls this evening but manager John Trewick feels that their position in the league doesn't really matter. "It’s a home game and it doesn’t matter whether the opposition are top or bottom of the table we’ve got to look to get a positive result," Trewick told the Worcester News. "The players should think it’s a challenge and hopefully they’ll be up for it." Bournemouths Jason Pearce has also spoken about this evening's game. "We are going there looking for the three points. We will have to play better than we did on Saturday. "They've had a disappointing start to the season and will want to prove themselves in front of their own fans. The pressure is on us because we are a scalp now. Every team in the this league is capable of beating everyone else, so we have to be on our mettle. "Hereford will be no different. They have started picking up points at home, so we have to go there with a positive attitude. "We are top of the league and we want to stay there, so hopefully we can get a good result." The Bulls entertain Bournemouth in League Two for the first time since 1982 on Tuesday night. The two sides spent six seasons, and met five times in various cups, over a ten year period from the early 1970's, but haven't met in more than 25 years with the Cherries usually in a higher division to the Bulls. On the times the two sides have met the Cherries have won eight of the 17 meetings, with the Bulls winning four. Last time they came to Edgar Street in March 1982 Derek Showers scored for the Bulls but it wasn't enough and the Cherries won 2-1. The Bulls collapse at Spotland on Saturday has done little to raise the morale of the supporters, who remain deeply concerned at the start of the season. An indifferent debut from Southend striker James Walker has led fans to call for a debut for unknown quantity Mathieu Manset, while Edrissa Sonko remains without an appearance. The attacking midfielder has sat on the bench for the last two games and will hope to make a debut with the Bulls remaining short on goals. Bournemouth are top of the League. Somehow. Still struggling for money, with a threadbare squad and the taxman's axe still hanging, Eddie Howe has continued his miracle start in the hotseat. He's won 21 of his 34 games and, with a record like that, he'd have walked away with the League Two title last season - and may well do this term if they can get their transfer ban lifted. Brett Pitman has six goals in the League this season, but the Cherries' strength is their defence with only four conceded. Hereford United vs AFC Bournemouth, Edgar Street, 29th September, 7.45pm. Superman Wayne Brown has been selected for last weekends League Two team of the Week. The Bury keeper, formerly with Hereford United, was picked after keeping a clean sheet in the game against Lincoln which Bury won 2-0. No Hereford United player was in the team. Jeremy Waymouth asks for better facilities for disabled Hereford United supporters. I am still trying to work out if the current situation where the view from the wheelchair section is so restricted is a good thing or a bad thing. On the one hand we can't see one quarter of the pitch so that's 25% less frustration but on the other hand we may miss that "piece of magic" that all the supporters will talk about for the following week. I started going to Edgar Street 6 years ago before I became a wheelchair user. Standing behind the goal in the Meadow End I didn't even see the wheelchair section and never ever gave a thought to the facilties on offer. But even then I knew the ground was poor. I went to the conference semi-final play offs at Aldershot and Stevenage and the grounds were so much better. Even visiting Forest Green showed me what Hereford United was lacking. Then my MS really took hold of my body and a wheelchair became the order of the day. I will never forget my first match as a wheelchair user. My friend drove us into the Car Park and it's at that point you realise there are no disabled spaces. Spaces for Burger vans, Sky television, the Players etc but none for disabled supporters. At both the Bristol grounds you can ring up and reserve a disabled parking space. And lets face it the car park has more pot holes than Cheddar Gorge! By the time the wheelchair had got from the parking space which I think was located closer to Shrewsbury than Edgar Street I had severe spinal trauma from the gravity sapping potholes and then the boulder like stones littering the carpark. Apparantly Tarmac has become as rare as a home win. So we got outside the ground. And now what? Turnstiles are a bit of a bugger to be honest and I am fairly stunned that some of the Cider loving Herefordians get through them due to their width never mind a wheelchair. No signs telling us what to do. How the hell are we as a club going to attract away supporters in wheelchairs when we dont even tell them how to get in the ground and watch their team get the three points? Eventually someone asked the guy manning the turnstiles how to get in. It turns out we have to knock loudly on the white doors and wait for a steward. Well - that's been well thought out! So the club want us to knock on a door where on the other side 2,000 people are singing or whatever. At the best of times it drowns out the P.A. system never mind a geezer rapping on a wooden door 150 ft away. After 5 minutes of hitting the door and knuckles bleeding we are let in. Here I will compliment the club on two things. The ticket price is good value. Secondly, the stewards are incredibly helpful and like all Herefordians I have met really funny and jovial. So we go towards the disabled section. Now when I say section I mean that in the loosest sense of the word. It's a paved bit outside the back windows of legends with awning above us. Obviously as the ground is flat it can only be single file viewing unlike a terrace where you are raised above the guy in front. So you travel in front of the people that are already there until the first avaliable blank piece of wall. The chances are that you have now passed through the awning bit so are exposed to the weather and as we all know Edgar Street has a micro-climate like the Phillipines. Tornadoes, monsoons or blinding sun are all frequent visitors. So the game kicks off. Hereford attacking towards the Blackfriers End - Pugh takes it up the left wing and beats two and then.................. bloody disappears from sight. He is replaced by a view of the St. Johns ambulance section - none of whom could care less. Then like some kind of weird Sky advert the ball appears into vision arriving in the penalty area completed unaided by anyone. Bizarre! We rely totally on the Meadow End to hear if we have won a corner or not at the Blackfriers End and I have been fortunate enough to see the ball take itself into the bottom corner of the goal - no idea who hit the shot but according to my view it was that fat St. Johns ambulance bloke with the Guinness bottle glasses! Its half time - fancy a beer - tough! Not sure if I can get into Radfords and even if I can I think it would take years to get to the bar. If we do have a drink then we may need to toilet. This is an experience. Disabled cubicles are in the ladies or gents. Well forget the Gents at half time at the back of Radfords. It's too busy and quite frankly - disgusting. So that leaves the ladies. Now although I am in a wheelchair I am still deeply nervous of enetering ladies toilets. So I knock on the door - nothing! I get in there lock the cubicle door - use the facilties - then a lady enters! I don't want to leave the cubicle in case she thinks I am some kind of mobile pervert - so I have to wait. They take so bloody long! What the hell do they do in there? I heard the jeans unzip and then..............................nothing for what felt like days!!! Eventually she leaves the cubicle and goes to the sink. Now a bloke washes hands - (sometimes) then flicks hands dry and leaves. I dont know what she did but it took weeks. So eventually it's safe to leave. Back to our spot. Second half underway - the subs are warming up! Right in front of us. The season we had Trevor Benjamin his arse could block out the entire Meadow end penalty area! Subs tend to follow the ball up and down the touchline so without fail they are in our line of vision competing with the linesman to get in the way. Ocaasionally we can remind a sub of his liking of pies of mildly correct the linesman on yet another dyslexic offside decision. But apart from that its crap. So a game can end 4-2 and we have not seen 80% of the build up or goals. We leave only to be confronted by the car park again that I think only Bear Grylls could safely negotiate and leave. Maybe it wasn't such good value after all. I dont know if the club read the forums but the one thing that is said time and time again is more supporter participation in the club. Please talk to us! Why can't we have a disabled supporters group? I know so many people who would come if the had an enabler - why can't the club set up a buddy system? Wouldn't it be great if we could liase with other clubs disabled supporters so we can all help each other out? Maybe even meet for a pint? Believe it or not we have opinions as well! In some cases going to the football maybe a wheelchair users only real social contact in a week - I don't think anyone else could understand how inportant that is. So why make it as difficult and unrewarding as possible? Notts County have named two of the investors in the club as the Shafi Family and the Hyat Family. An official statement names two former Punjab politicians as part of the Hyat family, both of whom the statement misnames, but both have been deceased for over 50 years. Cheltenham's board have sanctioned the signing of a loan player after their loss at Aldershot. Accrington have no plans to switch further games to Friday nights after two bumper gates due to concerns over colder nights. Chester and Wrexham drew yesterday's derby match 0-0. The result helps neither club much, with Chester 22 points adrift of safety and Wrexham 18 points short of leaders Oxford. Darlington are claimed to want Paul Jewell as their next manager, according to The Mirror. Youth team coaches Craig Liddle and Neil Maddison have been put in temporary charge of the club over assistant boss Dean Windass. No Bulls in the Team of the Week, but ex-Bull Wayne Brown gets in for his weekend display for Bury. Port Vale might have transfer listed their squad, but one player staying is midfielder Jason Jarrett after he signed a three month deal with the club. They have ended the loan of Plymouth man Damien McCrory. Crewe are after another keeper after Spurs man David Button was returned to White Hart Lane with a back problem. Torquay's start to the season is their worst for nine years. Darlington's is their worst of all time. Lincoln have named former England striker Chris Sutton as their new manager. It is the first managerial appointment for Sutton, who quit playing in the summer of 2007 after a brief spell with Aston Villa. He made his name at Blackburn alongside Alan Shearer, earning an England cap in the process, but a £10million move to Chelsea failed and he headed to Celtic for six seasons. Sutton will start work on Wednesday with Ian Pearce, his former Blackburn teammate, as his assistant. Pearce quit full time football last summer, and has recently been playing for Kingstonian in the Ryman League. Despite defeating Burton Albion 1-0 last Saturday, Bournemouth could only find three substitutes for the game and their injury situation looks little better for tomorrow evening's game at Hereford. "The boring man that I am, my thoughts go straight to our visit to Hereford on Tuesday night. We're so thin on the ground as everybody knows - we only had three substitutes sat on the bench today. We just need to make sure that we can get everybody out on the pitch on Tuesday. At this stage, everybody who was out today looks doubtful for Tuesday," said manager Eddie Howe after Saturday's game. "Alan Connell brightened us up today, he held the ball up well and had a hand in Brett's goal." The Cherries have been given permission to sign one new player by the Football League due to their current plight. One of the three on the bench on Saturday was 16 year old Jayden Stockley, with the club having to ask his school's permission for him to travel. The new player Howe can bring in can be non-contract or loan, subject to strict wage controls that their Chairman claims to leave them only able to offer around £500 a week for a player. Hereford based Joe Arnold has quit Blue Square South club Weymouth as he has found the travelling to the South Coast club too much. The 21 year old striker has left the club “for the forseeable future” according to manager Matty Hale. "Joe is someone I’ve looked to keep but he can’t fully commit to the club at the moment and has left for the foreseeable future. He needs to find work nearer his home and has been finding it difficult with travelling from Hereford to make training and matches," said Hale. "We’ll see if things change and hopefully we can sort out something in the future. He wants to play for the club but at the moment it’s not possible." Paul Tierney from Lancashire has been selected to referee Tuesday's evenings League Two match at Edgar Street where Bournemouth will be the visitors. As far as is known Hereford United have not met up with Tierney in the past. This season is the first time Tierney has officiated at League level. Last season he was in charge of Conference matches but also was an assistant referee in the Premiership. To date this campaign he has been the man in the middle at five games. So far he has dispensed five yellow cards but kept his red ones in his pocket. Former Hereford United striker Alan Connell, pictured in 2006, is expected to return to Edgar Street on Tuesday. He is almost certain to be in the Bournemouth squad to face the Bulls. Connell was on the bench for Bournemouth's home game against Burton yesterday and came on after 60 minutes. He was involved in the only goal of the game, which came on 90 minutes. Collecting the ball in the centre of the pitch he played the ball to fellow striker Brett Pitman who volleyed the ball into the back of the Burton net from about 20 yards. Connell joined the Bulls in July 2006. He made 44 appearances for the club in league and cup games scoring nine goals but despite being offered a new contract decided to join Brentford in July 2007. In August 2008 he rejoined Bournemouth where he had played from 2002 to 2005. Injury problems prevented him from playing regularily last season. Rochdale manager Keith Hill has spoken about his side's 4-1 victory over Hereford United yesterday. "It was a difficult game because they are a good team with ability on the counter attack and pace in good positions," said Hill. "They caused us a few problems, particularly at the start. "We didn't set off at the tempo I expect, but it was great to go in at half-time 2-1 up and the second goal was an unbelievable goal, the type of goal that would grace any division. "We won the game comfortably in the end but it could have been very different because they did have a few threats. We are only nine games into the season but we're reasonably happy." Port Vale will transfer list their entire squad after boss Micky Adams was dissatisfied with their performance against Notts County today. Adams told their official site: "Forget what has been going on at Notts County. It was quite simple - they have good players and you have to have people who are willing to stand up and be counted. I didn't think we had enough of that today - I thought we flattered. I am bitterly disappointed for the supporters as they deserved more today. The squad will be transfer -listed on Monday morning. I have told them all already. We will see how good they are." Assuming Adams carries through his threat, ex-Bulls John McCombe, Lee Collins, and Kris Taylor will all be available for transfer. All three started today's game, with Collins scoring an own-goal and McCombe conceding a penalty. "The scenario was quite simple. They’ve got good players and you need players who stand up and are counted. I didn’t think there was enough of that today and I think we flattered to deceive. "We looked like a woman who had a big fur coat on but underneath she’s got no knickers on." This afternoon's match report has been written by Terry Goodwin. Two late goals and a red card for captain Ryan Green summed up another away day disappointment for Hereford United as they lost 4-1, suffering their biggest League defeat of the season to date. Rochdale were stronger, more organised, and more clinical than the Bulls at a sunny Spotland, and on this performance, they can expect to be among the play-off candidates in League Two this season. Hereford went into the game boosted by last week's 2-0 win over Accrington, and they should take heart by elements of their showing at Spotland. But some weaknesses were exposed by Rochdale, who edged the first half, and grew in stature as the second progressed. John Trewick made one change, loan signing James Walker replacing the departed Marlon Jackson, and at times going forward, the Bulls showed some very good spells. There was an understanding between Sam Gwynne, Walker, Craig King and Mark Marshall which led to some exciting moments, particularly in the first half. Marshall whipped in several telling crosses to signal his intentions, although Rochdale tended to dominate. Walker tested the Rochdale goalkeeper Kenny Arthur in the early stages, while Will Buckley forced Adam Bartlett into an early save too. Defensively, Hereford were unsure of themselves in the early stages, despite the leadership of Ryan Green, who continued as captain. It's not surprising that the Bulls' players are still learning about each others' games - only five of those starting this match opened the season at Morecambe in August. Hereford pushed on through Craig King, who took a good touch before volleying just wide, but on 19 minutes, Rochdale struck. From the right channel, Gary Jones took the ball past a defender and then fed a low cross to Buckley. His shot was pushed away by Bartlett, but Chris Dagnall fired a low strike into the net to put the home side ahead. Hereford were left short at the back, but Gwynne had been held down in the midfield as Rochdale moved forward. Within four minutes, the Bulls were level. Marshall and King linked well, before a low pass found Marc Pugh at the far post. Pugh struck a foot out, enough to get a clean touch, to find the net. Hereford had the opportunity to build on the goal. Pugh fired at the goalkeeper, while Marshall continued to cause problems for Rochdale, and King shot across the face of goal after another decent move forward. On the stroke of half time, Rochdale broke away from a Hereford attack. They held the ball up, allowing a swift attack, and the ball was fed through to Simon Whaley who struck home when one-on-one with Bartlett. Despite the setback, the Bulls' players looked relatively upbeat coming off at the break. Rochdale stepped up a gear after the restart, and were positive from the outset. They kept Hereford at bay, and for periods looked content with their single goal advantage. Bartlett was called into action on a couple of occasions, and the best Hereford could muster was a shot on the turn from Walker which went straight into the arms of Arthur. Ryan Green picked up a yellow card for a foul of Dagnall, and Trewick opted to shuffle the pack. Pugh, who had had a quieter second half, was replaced, with Matt Done coming on, but it did little to inspire Hereford. With ten minutes left, Rochdale's Tom Kennedy swung in a long corner, and Bartlett saved after a scramble in the six yard box. But his push away fell to Buckley, and he drilled into the roof of the net to make it 3-1. Three minutes later, another Rochdale corner, and another goal, this time from Craig Dawson. The ball was flicked on in the area, and the unmarked Dawson scored on the turn. It cued chants of "easy" from the home fans, and many of the away supporters had seen enough, and headed for the exits. Rochdale looked for a fifth, as O'Grady fired into the side netting, while the increasingly frustrated Gwynne, pictured, was booked after reacting to a challenge from Rochdale defender Tom Wiseman. Then, two minutes into injury time, there was insult to injury for Hereford. Green pulled back a Rochdale player, picked up a second yellow card, and got the first use of the hot water. He will miss Tuesday's home match against Bournemouth. The result means Hereford drop a place to twenty-first. HEREFORD: Bartlett, Green, Valentine, Lunt, Pugh (Done, 72), Gwynne, Jones, King, Blanchett, Marshall, Walker. Subs not used: Rose, Lowe, Constantine, Sonko, Adamson, McCallum. Below are most of the stats from this afternoon's League Two match at Rochdale where the home side defeated the Bulls 4-1. Attendance: 2620 with about 140 from Hereford. Colin Todd has resigned as manager of bottom club Darlington after just two points from their first nine games. They drew today's game against Grimsby, their first win in three games, and recorded their only win in the Johnstones Paint Trophy. He is the fourth League Two manager to depart this season, following Stuart Gray (Northampton), Peter Jackson (Lincoln), and Mark Robins (Rotherham) out of their jobs. Update: Todd has issued a statement denying that he resigned, and that the decision to relieve him of his duties was entirely that of Chairman Raj Singh. "I thought giving two goals away before half time give us a lot to do, particularly the manner of the goals. First one we had posession and lost it on the edge of our box, Second one we took a corner in such a hurry with a minute to go before half time. We've talked about these things, we've got to keep clear heads on the football field and understand the state of the game. We were well in the game until then and at 1-1 at half-time who knows. "Obviously we tried to rally at half time and stay in the game and make sure we give ourselves a chance as I always thought we had a chance of creating something against them. "When the third goal went in that was it. Finished." On Ryan Green's dismissal, Trewick added: "He got too tight with the player, the ball was 25 yards away from him and he was right up against him. O'Grady turned him, he's good at that, rolled him round and Ryan got himself into a very bad position. I've got no complaints, it was a yellow card and he's off the pitch. We've got to deal with that." Looking to Tuesday's game with Bournemouth he finished: "It's a home game. It doesn't matter whether it's a top of the table or bottom side, we've got to look to get a positive result. The players should look at that (Bournemouth's position as leaders) and hopefully they'll be up for it." Ade Akinbiyi is set to sign for Notts County. He left Burnley for MLS side Houston Dynamoes in March, but was released from his contract last month and has agreed terms on a deal at Meadow Lane. Bertrand Cozic scored Exeter's goal as they lost at Charlton. Lee Collins scored an own goal as Port Vale lost at Notts County. Karl Broadhurst was sent off for a late second booking as Crawley beat Rushden. Moses Ashikodi was booked inside three minutes but also scored as Kettering beat Ebbsfleet. Brian Smikle scored after two minutes, but Kidderminster lost at York. Danny Carey-Bertram scored one of the goals as AFC Telford beat Pegasus Juniors. Bournemouth head the League Two table by four points after their 1-0 win over Burton. Dagenham and Rotherham follow them up with 20 points with the Daggers drawing 1-1 with Morecambe and the Millers beating Barnet 3-0. Rochdale move up to fourth after beating the Bulls, with Aldershot fifth after their 4-1 demolition of Cheltenham. Shrewsbury beat sorry Northampton 3-0 to be sixth, with Notts County getting over a bad week off-field with a 3-1 win over Port Vale. Bradford beat Chesterfield 3-0 to move up to ninth. Down the bottom Darlington are five points short of safety after teenager Curtis Main scored a late equaliser to give them only their second point of the season at Grimsby. Torquay are second-bottom on six points after their 2-1 loss at Macclesfield, with Northampton and the Bulls next on seven points. Lincoln slide further down the table after their 2-0 loss at Bury, with Macclesfield and Morecambe also on nine points. In the Conference Oxford maintain their seven point lead with a 1-0 win at Gateshead. Kidderminster went down 3-2 at York after having a man sent off, while Forest Green picked up a first win with a 2-1 win over Grays. Chester face Wrexham tomorrow. Meanwhile Pegasus Juniors FA Cup run is over. They lost 4-1 at AFC Telford. Ryan Green was sent off as the Bulls threw away a good start to capitulate 4-1 to Rochdale in today's League Two match. While the Bulls were unlucky to go in at the break 2-1 down, with Marc Pugh's two yard tap in being sandwiched by disappointly conceded goals, they fell apart in the last ten minutes to make the scoreline harsh before a rash tackle from Green brought about a second yellow card. Former Bulls loanee Febian Brandy is in the England u20 World Cup finals squad, with their first game tonight. "If I'm picked to play, these will be the biggest matches of my life. It's a huge, worldwide tournament – and the fact that it's a World Cup gives it extra significance. It's a massive opportunity for me to show what I can do. This is the second biggest tournament in the world and we as a team want to show people what we're capable of. "Obviously, some great players have played in this competition in the past, such as Lionel Messi, Ronaldinho and Michael Owen. It's an honour to follow in their footsteps. Other players have used it as a springboard – and I hope to do the same. Hopefully I’ll be the man, but if I don't score on Saturday, I just hope that one of the other lads does. We want to do well in the tournament – and to do that we'll need to score goals." Brandy isn't the only ex-Bull to go to the u20 World Cup finals. Clint Easton was part of the 1997 squad that included Michael Owen, Danny Murphy, and Jamie Carragher. England go into the tournament having not netted in the finals competition for 12 years, qualifying in both 1999 and 2003 but then dipping out without scoring. They will also face Ghana and Uzbekistan in the group stages. Hereford United will be hoping they can register their second League win of the season when they play at Rochdale this afternoon. Manager John Trewick will have to make at least one change from the starting line up against Accrington last Saturday as Marlon Jackson has returned to Bristol City. His place could be taken by either new loan signing James Walker or new short-term signing Mathieu Manset (pictured) who was 'scouted' by former player Guy Ipoua. Whilst the opposition are likely to be a much tougher challenge than Accrington, the Bulls go into this game with a degree of confidence that at last their season may just be beginning to click. The last time the Bulls played at Rochdale was on a cold February evening last year. The Bulls won the game 4-2 with a hat-trick from 'Shergar' and one from Gary Hooper. Meanwhile the level of support for the Bulls might be dented by some supporters deciding to watch local side Pegasus Juniors at Telford in the FA Cup. Finally BBC Hereford and Worcester will have full commentary of the game on 94.7FM in and around Herefordshire. Another above average crowd at the Crown Ground saw Accrington beat Crewe 5-3 in tonight's League Two match. The 2,764 crowd watched Accrington, who were hopeless at Edgar Street last week, put five past Crewe including two long range efforts in the first five minutes. The result puts Accrington up to twelth, level on points with the Railwaymen who have now lost their last three games. Meanwhile The Times have uncovered more further mysterious information on the takeover Notts County. The paper's report, that can be seen in full here, suggest that Swiss Commodity Holding - the mining company that would have had Sol Campbell as it's ambassador - may not be the 100,000 employee company it claims to be as nobody in the business world has heard of it. Bulls News is to extend its archive news coverage of Hereford United. Currently on this site the archives go back to December 2001 which includes much of the period when www.hu-fc.co.uk, our predecessor, was operating. However we are currently gathering earlier material from various sources and drafting it onto an archive blog. And all the material from www.hu-fc.co.uk has been saved on another site in case of problems at the original server. Hopefully in the not too distant future, all the pre May 2004 archive news will be available on our www.bullsnews.co.uk site which currently operates as a back up to this site. The long term aim is to have archive news coverage starting in 1996. Hereford United chairman Graham Turner has said that there are no plans to revamp the Supporters Club at Edgar Street. Earlier this week a photo appeared on Bulls News which showed workmen bringing debris out of the building. "There are no plans - there has been a bit of speculation what might be done with that," said Turner. "We've obviously had a problem with the amount of pigeons and wild life getting into the top there so all that has been cleared out. "Nothing can be developed, it would have to be pulled down and started again. It can't be patched up the cost would be colossal." On other matters, Turner said there was little to report about the Blackfriars End. "Discussions are still going on between the two architects, ours and the Richardsons." Turner also mentioned in his interview with the official website that it was still to be decided what to do with the Meadow End barriers. The chairman attended a League chairman meeting yesterday. "There was a fairly long discussion about the Police and what had happened here. A lot of clubs don't have any problems at all." The supporters club and part of the main stand at Edgar Street was destroyed by a suspected arson attack at the end of September 1995. The following Friday the club was burgled. As previously reported, Glen Southam's broken hand has put him out of contention for the Bulls' trip to Rochdale tomorrow. He will be joined on the sidelines by Craig Jones and Jonny Godsmark. Godsmark has now been sidelined for four weeks of the reported six weeks for his hand injury. Darren Dennehy, who played an hour of the practice match with Wolves in the week, is back in contention. Up front both Lee Morris and Leon Constantine are reported by the official site to have groin problems, and with the Bristol City pair of Marlon Jackson and Tristan Plummer ending their loans, there is likely to be a debut for either Southend striker James Walker or Frenchman Mathieu Manset from the start. Manset played 70 minutes in the Wolves match in which Edrissa Sonko played the full match. He will also be pushing for a debut after being an unused sub last weekend. Rochdale have no new injury concerns from the squad that won at Northampton last weekend and will have a virtually full squad to choose from. Loan winger Simon Whaley will be looking for a first start after impressing as a sub during that game, while long term injury victim Rory McArdle is not yet match fit and is unlikely to be considered. Strikers Chris O'Grady and Chris Dagnall have shrugged off injuries that threatened their appearance last weekend. Bournemouth are the latest club to raffle off a sponsorship, this time it's the title sponsor of their stadium. Tickets are available for £495 and the winner will get to name the stadium for the remainder of this season and all of next. The Cherries chose to go this way after an agreed £50,000 a season deal fell through in the summer. Burton have signed former MK Dons striker Serge Makofo on a short term deal. Ex-Bull Nicky Nicolau has signed a contract with Woking until the end of the season after initially joining on non-contract terms. Northampton have ended the loan of ex-Bull Robbie Threlfall after a disappointing month in which he only started one game. Morecambe have loaned winger Neil Wainwright to Barrow for a month. He missed pre-season due to injury and needs match practice. Lincoln have given a second interview to former Nottm Forest coach John Pemberton about their manager's job, but they are yet to ask Gary Brabin back for a second turn. Pemberton topped a recent fans poll for their choice as manager. Hyde United's board have been told they can appeal the winding-up order against them. They will need to raise about £35,000 in the next two days for a chance of survival after securing most of the £122,000 tax bill that sent them under. Rochdale are to loan midfielder Clark Keltie to Chester for a month, and striker Jon Shaw is to extend his loan at Barrow for another month. Hereford United have confirmed on their Official Website that French striker Mathieu Manset has joined The Club on a contract initially until January. Manset, as earlier reported on Bulls News, played in the recent behind closed doors friendly at Wolves. He is a twenty year-old striker previously with French League club Le Havre and is reported to be a strong, quick direct player. The Hereford United manager, John Trewick, has been talking to BBC Hereford and Worcester about tomorrow's match at Rochdale. "I don't think there is too much to choose between the teams at the bottom and those at the top," said Trewick. "We will approach every game in the same way - giving due respect to the opposition, we will concentrate on ourselves. "Rochdale have been consistent over the last year or two, and I think they will be threatening the play-offs again this year. "They are a good team but we think we have taken a step in the right direction and can go there and give a good account of ourselves." After last Saturday's first win of the season, you might have expected the bookies to be offering slightly lower odds for Hereford United at Rochdale. However at 4-1 they don't appear to give the side much chance of bringing three points back to Herefordshire from Spotland. Nevertheless, as www.9-men.co.uk suggest, perhaps the Bulls shouldn't be written off. In League 2, Rochdale are tempting at 8/11 to win at home to a Hereford side that were on a 16-match winless run until last week. However we’ll steer clear this time, with Hereford up to their old tricks of signing every young pro in the country on loan, in the hope of finding 11 that can kick a ball properly. Forest Green Rovers have clinched the signature of Tomi Ameobi. Ameobi came to Edgar Street on trial in July and scored a goal in the friendly against Kidderminster but was soon off to try his luck elsewhere. Recently he has trained with Bradford City and played for them in a reserve game last Tuesday against Huddersfield. He scored the winning goal however it was into his own net. Rotherham have named Ronnie Moore as their manager for a second time. 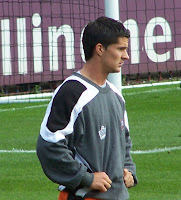 Moore, who left Tranmere in the summer after three seasons, spent nearly eight years at the club until January 2005 and was a near unanimous choice of fans to return in place of Mark Robins. Moore is to appoint former Walsall boss Jimmy Mullen as his assistant. Moore was touted earlier in the day for a swift return to Tranmere, who had sacked him due to falling attendances, in place of the hapless John Barnes. During his first spell with the Millers he turned them from League Two also-rans to a Championship club with three straight seasons in the second tier, but the rot set in soon after he left. The Football League's 72 clubs are at Derby's Pride Park for their quarterly meeting today. On the agenda is a discussion on Police costs, salary cost controls, the fit and proper persons test, youth rules, and the arrangement of next season's fixtures. Hyde United have been wound up after failing to deflect a winding up order from the taxman. They had provided proof that funds to meet the debt would be forthcoming, but it was apparently not enough. The Conf North side played the Bulls in the FA Trophy in 2005, but only escaped relegation last season after another club was forcibly demoted. The club's board say they are investigating whether they can appeal the decision. Northampton have signed Middlesboro defender John Johnson on a months loan. He had a month at Tranmere last season, including playing in the 2-2 draw at Edgar Street on Boxing Day. Burton have loaned teenage striker James Knowles to Harrogate for a month. Bristol Rovers have suspended midfielder David Pipe after he was charged in relation to an assualt in which a man suffered a broken skull. Notts County have signed Wolves defender Daniel Jones until January on loan with a view to a permanent move. The 22 year old has spent most of the last two seasons out on loan at Northampton and Oldham, scoring for the Latics against the Bulls last October. Accrington have raised a total of £80,000 towards their £308,000 tax bill. They will have bucket collections at Anfield and Ewood Park on Saturday, and hope to arrange a friendly with Blackburn soon. Torquay are set to offload some of their fringe players with Michael Brough mulling over a loan move to one of two Conference sides, and keeper Martin Rice finalising a permanent move to Truro. Bristol Rovers have confirmed that striker Andy Williams has been taken off the transfer list after impressing in recent weeks from the bench. The striker, who was on loan with The Bulls last season, was told he could leave Rovers in the summer but has forced his way back into reckoning, particularly after the departure of million pound striker Ricky Lambert. Chairman Nick Higgs spoke about Williams' situation, "After impressing from the bench in recent weeks, the management team have taken the decision to take Andy Williams off the transfer list. "Andy has worked hard since being put on the list and has really proved his worth to the team. He is looking much stronger, both physically and looks capable of changing a game. "We all hope that he can continue to prove himself at Bristol Rovers, and if he carries on the way he has been going, his next goal cannot be far away." The Hereford United manager John Trewick has spoken to the Hereford Times about Southend striker James Walker who has just joined the Bulls on a month loan. "James has found himself in a similar position at Southend to the one Gary Hooper was in," said Trewick. "He is fourth or fifth choice striker down there but he will link up with Craig King here and there will be plenty of energy, pace and endeavour, and ability as well, up front." Trewick also revealed that Glen Southam fractured a hand in Tuesday's reserve friendly at Wolves. He could be out for eight weeks. However Darren Dennehy should be fit for selection for Saturday's game at Rochdale after his injury. Meanwhile the Bulls support on Saturday could de dented by a certain FA Cup game at Telford. Pegasus Juniors, who are based a mile or so away from Edgar Street, have reached the second qualifying round of the FA Cup and have been drawn away to Telford United, now in the Conference North. "There is a lot of interest and I know quite a lot of Hereford people who are going to Telford instead of watching Hereford United at Rochdale," said Kevin Bishop who is chief executive at Pegasus. Pegasus are running a supporters coach to the game. It is the first time they have ever done so. The Bulls travel to Spotland for a League Two match against Rochdale on Saturday. The two sides have a lengthy history thanks to Rochdale's inability to leave League Two. The two sides have met 44 times, all of them in 22 seasons in the bottom Football League level. The Bulls defend an 11 match unbeaten run stretching back to 1993 which includes their last visit to Spotland, a 4-2 win thanks largely to a Sherjill MacDonald hat-trick in February 2008. Dale's retention of their League Two status is a running joke across the League, but boss Keith Hill has come closest of any in breaking free of their eternal hell. Two play-off campaigns in his two full seasons in charge have both been ended by the eventual promoted side, with 2008's loss being a final defeat to Stockport. The loss of Adam Le Fondre to Rotherham underlined the financial tightrope that many League Two clubs are walking, with the sale apparently necessary to keep the club on an even keel. They haven't done badly without him, currently lying in sixth place with Chris Dagnall having scored five goals. The Bulls go to Greater Manchester with at least two faces to debut. Edrissa Sonko's arrival last week came just a little too late for John Trewick to give him a debut last Saturday, while Southend forward James Walker will seek a debut in replacing Bristol City pair Marlon Jackson and Tristan Plummer, probably alongside Leicester man Craig King. Walker will be the 28th player to be named in the eighteen man squad already this season. Rochdale vs Hereford United, Spotland, Saturday 26th September, 3.00pm. As if the rumour mills needed anything to fuel their Notts County fire, the sudden departure of Sol Campbell has stoked the flames even more. A wide range of rumours and theories have been presented by the assorted media on Campbell's exit, often backed up by an 'insider' or 'source'. Some claim Campbell's first wage packet was ominously light, others that he simply didn't like League Two after all after an indifferent debut at the less glamourous surroundings of Morecambe's Christie Park. "Both Sven and Sol were given traditional football contracts, confirming their pay, terms and conditions to manage or play for Notts County. There was nothing unusual about that. But they were also offered separate ambassadorial contracts, whereby they would perform various off-field duties for Munto Finance and County. "In Sol's case, he fully expected to go to South Africa, where he understood Munto - or Qadbak - would be involved in mining investments. The idea would be that Sol would meet the local people and explain to them how the companies could be good for the local areas. It was his belief the companies would bring massive infrastructure to communities, paying for new schools, hospitals, sports facilities, and even charitable work. Magpies' Managing Director Peter Trembling suggested that it was all Morecambe's fault: "The five weeks Sol has been here he has been as happy as Larry. He played at Morecambe on Saturday then phoned and expressed a few concerns. Maybe it was the stark reality of Morecambe, which, with respect, is not the Emirates. But five weeks ago he was prepared for that." While all this goes on press reports state another unnamed Premier League player is to join the club on loan shortly, while the Football League will continue to investigate the ownership of the club: "The Football League is now analysing information given to us by Notts County and making further enquiries. No further comment will be made until after the League’s next board meeting on October 8." Rochdale have been quick to allay fans fears that the club is in trouble after the taxman had a court hearing with them today. The winding up order was issued by HM Revenue and Customs (HMRC) back in July while discussions between HMRC and club officials were on going. These discussions have continued throughout the summer to the point whereby the club believes it has satisfied the requirements of HMRC. Although discussions have been ongoing with HMRC, unfortunately the club were unable to make a number of previously agreed payments to HMRC due to cashflow problems and consequently HMRC took the decision to issue winding up proceedings in July. Club officials have continued negotiations with HMRC officials and as a result of those negotiations and payments being made, the club made an informal agreement with HMRC. As part of that agreement the club applied for a postponement of the hearing on the 23rd September 2009 and HMRC assured the club that they would not oppose that application. The club also state that they are not under a transfer embargo, and that it is 'business as usual' despite the court appearance. HUISA coach departs from Radford’s at 9.30am with a fare of £17. Seats can be booked through the Club office during normal hours or by phoning 08442 761939. By Car - M5, M6, M62. Spotland is just over two miles off Junction 20 of the M62 following signs for Rochdale A627M. Bear left at your first opportunity prior to the traffic lights passing B & Q on your right. You will quickly approach a roundabout at which you will pick up the signs for Spotland Stadium directing you to take the second exit. After about two miles you will find the stadium on your right. Street Parking. Postcode OL11 5DR. Trains - Via Manchester to Rochdale. The Station is about three miles from the ground and therefore a 30/35-minute walk so a taxi may be the answer (approx £7). Alternatively, the 436 bus picks up at the station half hourly on match days (quarter to/past) and drops off in Sandy Lane next to the ground. Please note, the last bus back from Sandy Lane is at 17.10! PRE-MATCH REFRESHMENTS - Rochdale offers a plethora of Pubs within a five-minute walk of the ground. The Cask and Feather at 1 Oldham Road, was the “brewery tap” for the Thomas McGuinness Brewing Co but following a fire the brewing equipment was sold to the Offa’s Dyke Brewery. It still offers three handpumps usually supplied by Phoenix, Hornbeam and Moorhouse beers. At 35 Toad Lane is The Baum, which has received good reports and has up to five handpumps sporting the likes of Coach House, Phoenix, Slaters and Holts. The local Wetherspoons is the Regal Moon in The Butts which is a converted cinema and any lovers of Hydes beer can find satisfaction at the Merry Monk in College Road. At the ground is Studds Bar, which is accessible from outside the ground while the Ratcliffe Arms is to be found at the car park entrance to the ground in Sandy Lane. Also close to Spotlands are the highly recommended Cemetery Hotel at the traffic lights on the approach to the ground and The Church Inn on the corner of Willbutts Lane. There is a particularly handy chip shop in Willbutts Lane, which is coincidently called the Willbutts Lane Chip Shop. There are no Hereford United players in the short list for PFA player of the month for League Two. However a former fans favourite at Edgar Street has been nominated. Keeper Wayne Brown or Superman is now with Bury and he could top the poll. However Bournemouth striker Brett Pitman is currently ahead. The youngster has been in great form this month, and is fending off Robert Taylor of Port Vale, Brown and veteran striker Steve Fletcher also playing for Bournemouth. In last night's Conference games Oxford lost for the first time, 2-1 at Mansfield, but retain a seven point lead at the top. Forest Green drew 1-1 with Kidderminster, and Chester drew 1-1 at Salisbury. Ex-Bull Moses Ashikodi scored from the spot as Kettering beat Barrow 2-1, while Mark Beesley scored for Cambridge as they drew 2-2 with York. The results of appeals over the Accrington-Bury betting bans have been delayed until the end of the month. The various players have all presented their appeals, but the three man panel now needs longer to consider their verdicts. Pegasus forward Chris Mortlock has missed out on being voted Player of the Round in the FA Cup. Kingstonian forward Bobby Traynor registered more than half the vote. Notts County have named former Sky Sports presenter Matt Lorenzo as their new Communications Director. He has been appointed by owners Munto Finance after their parent company hired him to head the communications division of their sports empire. Former English international Sol Campbell is expected to leave Notts County after just one game. Despite being on a reported £40,000 a week, not far short of the weekly wage bills for some clubs in League Two, Campbell has asked the club to terminate his five year deal. Meanwhile as mentioned here last week, manager Ian McParland is also likely to leave 'sooner as opposed to later'. Finally the future of the club isn't certain despite the takeover by Munto Finance according to the Football League. "The Football League is now analysing information given to us by Notts County and making further enquiries. No further comment will be made until after the League's next board meeting on October 8"
Work appears to have started on clearing the debris from inside the old Supporters Club, which was damaged by fire around fifteen years ago. Builders are on-site this week and are removing the rubbish which has apparently been untouched since the Club closed. The Club formally hosted fans on match days and was regularly used by skittle, pool and dart teams, which provided steady business during weeknights. The venue was also a popular venue for wedding receptions and also featured cabaret evenings. When questioned about the future of the building several years ago at a Fans Forum, Graham Turner told those attending that the building had been damaged beyond repair and was structurally unsound. A player listed as Manset appeared for The Bulls in a behind closed doors friendly at Wolves training ground today. There is a player of that name shown on the site of French League Club Le Havre. He is listed as a 6’ 1” right-footed striker born on 5th August 1989 making him 20 years old. He was born in Metz and is believed to have previously played for HAC. Hereford United were defeated 1-0 by a young Wolves team earlier today. A young Wolves team beat Hereford in a behind closed doors development friendly at Compton Park this afternoon thanks to a first-half strike from skipper Scott Malone. In the opening minute Nathaniel Mendez-Laing tested former Albion keeper Chris Adamson with a low shot before Hereford threatened through Matthew Manset who burst through the middle and was bearing down on goal before he was dispossessed by Mark Little's well timed tackle. Little, Mendez-Laing and Daniel Jones were the only home players to have played senior football for Wolves whilst Hereford included former Molineux centre-back Keith Lowe in their line up. Carl Ikeme's goal survived a tremendous scramble following a corner with Daniel Jones saving the day when he cleared off the line. But it was Wolves that moved into the lead with 27 minutes gone after Ashley Hemmings's shot was blocked. The loose ball fell into the path of Malone who made no mistake as he beat Adamson from close-quarters. Adamson then had to dive to save Hemmings's shot on the turn, and Malone was close to a second goal when he fired narrowly over with a terrific effort. Five minutes after the restart Gavin McCallam was narrowly wide of the post with a low drive and then Malone ran through the heart of the visitors defence before he too was narrowly wide. On the hour mark McCallum tried his luck once more but again his effort was wide of the mark and then Bence Szabo shot over the bar from the edge of the Hereford box. Shortly before the end substitute Liam McAlinden saw his shot being pushed around the post by Adamson. Wolves: Ikeme, Metcalf, Daniel Jones (Szabo 56), Griffiths (Ebanks-Landell 62), Little (Griffiths 79), Rooney, Mendez-Laing (Price 67), Davis, Hemmings, Spray (McAlinden 70), Malone (capt). Hereford: Adamson, Tolley, Denehy (Edwards 64), Rose (capt), Lowe, Sonko, McCallam, Southam (McQuilken 59), Manset (Weir 70), Done, Rounai. James Walker has joined Hereford United on a one month loan deal from Southend. Southend United have loaned striker James Walker (pic from Wikipedia) to League Two outfit Hereford United today, southendunited.co.uk has confirmed. Walker, 22, will spend the next month at Edgar Street as he looks to get match practice under his belt. The Blues forward has made 43 appearances for Southend and scored eight goals after signing from Charlton Athletic in February 2008. However, he has found opportunities hard to come by this season with Lee Barnard in fine form and the arrival of Sunderland striker Roy O'Donovan on loan last week. And now Walker will add a loan spell with Hereford to those he has enjoyed at Hartlepool United, Bristol Rovers, Leyton Orient, Notts County and Yeovil Town during his career. Walker was originally going to join Southend from Charlton in January 2008 but at a medical the club doctor discovered that Walker had an irregular rhythm of the heart. He was then sent to Southend hospital for further tests. However Walker was aware of the problem as 'similar anomalies' had been found at previous examinations when Walker was 14 and 17. The consultant at Southend hospital then sent him to the Royal Brompton Hospital in London for further tests. Whilst this was going on his move to Southend was delayed but eventually the deal was done. The two young players from Bristol City who have been on loan at Edgar Street have returned to their parent club. Tristan Plummer is not expected to return to Hereford United for a second month but Marlon Jackson may do so. Jackson received a leg injury last Saturday whilst playing against Accrington and had to be subbed during the first half. He is receiving treatment at Ashton Gate and according to Bristol City 'is likely to stay on at Edgar Street' no doubt as soon as he is able to train again. Update: Plummer was named in the starting XI for City's reserve match with Swindon this afternoon. He played the full game, creating one goal, in their 6-2 win. Bookings for the HUISA coach to Rochdale on Saturday can be made through the Club office during normal hours or by phoning 08442 761939. The Fare is £17 and departure is set for 09.30 from Radford's. There are currently plenty of available spaces. All this week coffee mornings and related events are taking place all over the country to raise money for Macmillan. Numerous mornings have been arranged in Herefordshire and surroundings areas, some involving Hereford United supporters. Meanwhile there is an easy way to support the charity if one is unable to get to an event. Take part in the World's Biggest Coffee Morning without the dirty dishes. It's simple. The £3 donation will be added to your next phone bill, plus your standard network text charge. And afterwards, if you go on to complete the gift aid form|, we can claim an additional 25% on your donation. There has been no change in the number of shares owned in Hereford United by chairman Graham Turner according the the clubs latest return. None of the directors bought or sold shares in the period to June this year. Chairman Graham Turner remains the largest single shareholder with 9201 shares. Of the other directors Mrs Fennessy has 1728, Grenville Smith has 481 and Hugh Brooks has 400. HUISA, the supporters association, have 2276 shares. Other individuals with large holdings include M J Dean (2000), Stewart Phillips (2337), Graham Rivers (1700), and Veronica Richardson (2000). For the first time this season Hereford United have two players in the League Two team of the week. Both Darren Jones and Sam Gwynne have been selected for the team by the Press Association for their hard work in the game against Accrington last Saturday. Meanwhile in other news, C L Pawson will referee next Saturday's game at Rochdale where Hereford United will be the visitors. Finally, the Hereford United Youth Team were defeated 6-0 by swindon last Saturday in the Youth Alliance Cup. Next Saturday the youngster are away at Oxford United. The Football League has confirmed that 'Help for Heroes' will be its Official Charity Partner for the 2009/10 season. This decision should be especially welcome at Hereford United with its close links with the Armed Forces. Founded in the summer of 2007, Help for Heroes raises funds for all members of the Armed Forces injured whilst serving their country. Chosen following a vote on the official Football League website, the charity was picked by football fans from five shortlisted candidates. The Bobby Moore Fund, Care of Police Survivors, Everyman, Marie Curie and Help for Heroes all went head-to-head in the week-long vote which saw a staggering 25,000 fans nominate their favoured organisation. The top two causes were then passed to the League Board who made the final decision to choose Help for Heroes. "I am delighted to have Help for Heroes as our Official Charity Partner," said Football League Chairman, Lord Mawhinney. "The Football League is dedicated to helping good causes and the work done by Help for Heroes is hugely relevant to our lives today. "The Football League's unprecedented reach across the UK will assist Help for Heroes to raise awareness, funds and provide Armed Forces with the opportunity to see live matches. "Help for Heroes has always been an organisation that I and our clubs have supported in practice and I am thrilled that The Football League is working to help such a great cause." As the Official Charity Partner, Help for Heroes will have an unrivalled exposure across The Football League, where clubs already have countless initiatives in place supporting the Armed Forces. The partnership will add to this passionate work currently underway that includes fund raising and the provision of matchday tickets for members of the Armed Forces and their families throughout England and Wales. The Armed Forces will also be honoured at the prestigious Coca-Cola Football League Play-Offs Finals at Wembley with more than 300 troops receiving VIP treatment, including a lap of honour and a stadium-wide standing ovation before kick-off. Help for Heroes co-founder, Bryn Parry said: "Thank you to everyone at The Football League. Your support will make a huge difference to some incredible Heroes. "The Football League will help us provide direct and practical support for our injured service personnel. We may not be able to prevent our blokes from being wounded, but together we can help them get better. "We wish you all the very best for the upcoming season and look forward to seeing you very soon. Thank you from all at Help for Heroes." The huge response from fans has encouraged the Board to take the unprecedented step of naming Marie Curie, runner up to Help for Heroes, as the Official Partner for the 2010/11 campaign. Ex-Bull Nicky Nicolau has left Maidenhead after just a couple of weeks and joined fellow Conf South side Woking on non-contract terms. He debuted for the Cards in their 1-0 loss to Newport. Oxford have signed a new sponsorship deal with a local insurance firm that will be worth a guaranteed £100,000 in the first season. The club will earn more based on commission based on sales generated through the deal. Morecambe have unveiled a club branded bus that will operate on routes around the town to advertise the club. It was the brainchild of a couple of fans who raised the necessary money to finance the branding by selling advertising space on the bus. Dagenham are to loan midfielder Will Hendry to Maidenhead just two weeks after signing him. Notts County have denied that there is any problem with the Football League over their takeover, despite a FL spokesman confirming that they are still waiting on details of the ownership of the club. Bournemouth expect to have their transfer embargo lifted in a month, when they expect to have cleared all tax and footballing debts. They have confirmed that a supporter who lent the club £30,000 last season has added his name to the taxman's winding up order that is currently adjourned. Darlington chairman Raj Singh has refuted claims that former owner George Houghton is still at the club. Singh says accusations that he is only in the job to profit from the land around the stadium are wrong, and he will walk away if the fans don't want him.